About one year ago, I was unexpectedly followed by Kurtis Starkie, the guitarist of The Slow Readers Club, on twitter (since then, I have discovered many great artists in the same way!). I wasn't familiar with the band at the time, so I started searching information on them and their music. I always feel blessed when I discover new musicians, but with this specific band it was more than a blessing! So, this is an Indie/Electro band, based in Manchester, UK, consisting of Aaron Starkie- lead vocals, keyboars, lyrics,Kurtis Starkie- electric guitar, James Ryan – bass guitar, and Neil Turvin – drums. The first song I heard is called Forever in your debt. I felt like a child opening its gift! Brilliant love lyrics, vibrant rhythm, great bass line at the beginning, melodic guitar and keyboards, quite interesting voice, and this unique sound of Brit pop! Then I heard Days like this will break your heart, and included it in a new "car" CD, along with Forever in your debt. This song also has all the ingredients of great music and I loved the orchestration (fantastic guitar strumming!). But mainly, this is the song that made me realize that the singer has an amazing voice. And how beautifully he alternates between his fake high notes with his "real" high notes. If Forever in your debt made me pay attention to The Slow Readers Club, Days like these will break your heart certainly made me love them! Next, I discovered Sirens and I thought that (mid???) life crisis was probably good for me. The last verse "I've had enough, someday it's got to stop" perfectly describes my mentality in the past few years. Meaning that I have "discarded" things and situations in my life, being more selective with my friends and people around me, and with what I accept as part of my life in general. And there came Sirens to make me realize this (while dancing!). The Slow Readers Club most dramatic song, undoubtedly, is Block out the Sun. Bittersweet. I was undertaken by Aaron's mild scream and the whole atmosphere created by the melancholic lyrics combined with the orchestration, specifically the violin sections-perfectly inserted in terms of musical harmony. And we all need(ed), at a certain point in our lives, someone to take us "home": “Someone save me, someone take me home”. -Feet on fire: Listen to this song and let me know if your feet are on fire and you are dancing to its amazing rhythm, just like I do every time I hear it. The lively tempo created by the guitar and drums always "moves" me! -Don’t mind: This track strongly reminds me of the 80's; it is more "adante" but equally wonderful. And has a quite gripping video clip! What stands out is the mysterious musical conclusion and, of course, the frontman's amazing vocal range (once again). Aaron: I have a clear memory of going to an open evening at my secondary school. We were getting a tour, being shown the room for Maths, English, Design and Technology and the Science labs that kind of thing. We came to one room called special needs which was where kids with learning difficulties would spend their time. It struck me as odd that you could be classified like that and put in a certain stream. 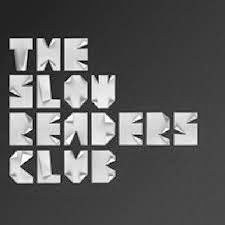 The Slow Readers Club is meant as a sneering rejection of that notion, its a celebration of the underdog. -Which bands/artists influenced you the most? Aaron: We grew up listening to a lot of music our parents liked. The Beatles, Elvis, Bob Marley and loads of Motown artists and some good and bad 80’s music. The Beatles are strong influence like they are on plenty of other people. We’re all into lots of different music as a band though. 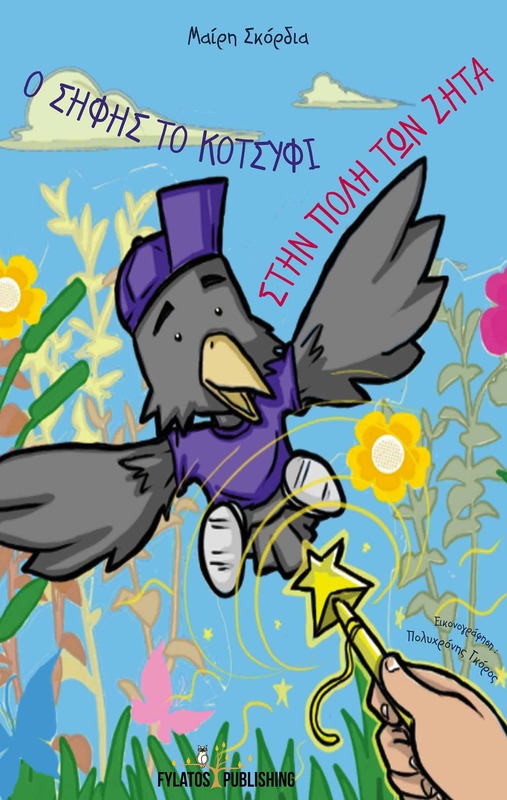 -Where do you find your inspiration? Aaron: Inspiration can come from anywhere, music, film, art and probably more often life experiences. We often jokingly reference 80’s movies like Lost Boys and Rocky. I would like to thank both Aaron and Kurtis Starkie very much, for finding time (in their very busy schedule) and giving us the opportunity to get to know them better. Apart from being great musicians, they also are great guys, open minded and down-to-earth. Their new album, called Cavalcade, will be released in April 2015! So, if there is someone out there reading this, who works in the music events industry in Greece, this is a remarkable band! How about inviting them? P.S. 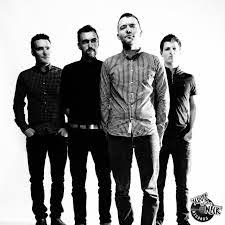 Here: http://www.theslowreadersclub.co.uk/ you may find tour dates, more information and also buy their music. For BOOK TOUR, Mary Scordia.